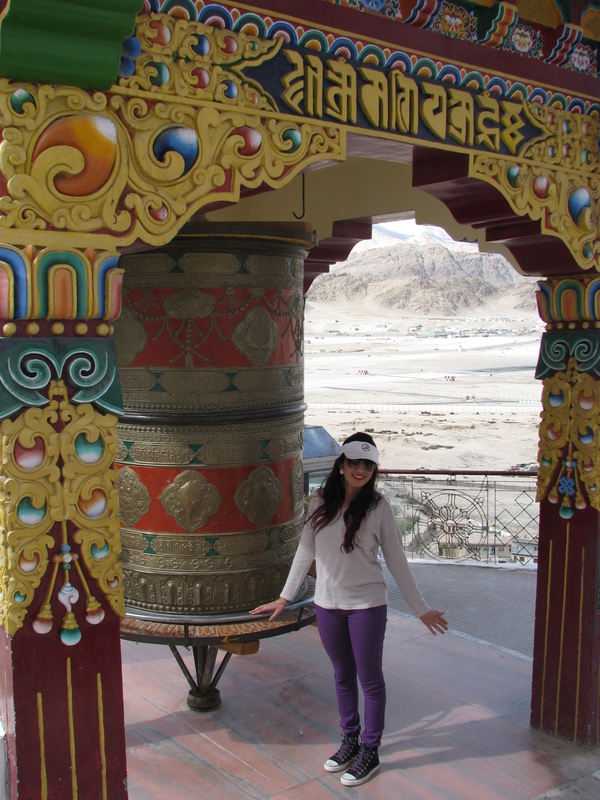 LEH an Adventurous Trip of a Lifetime! 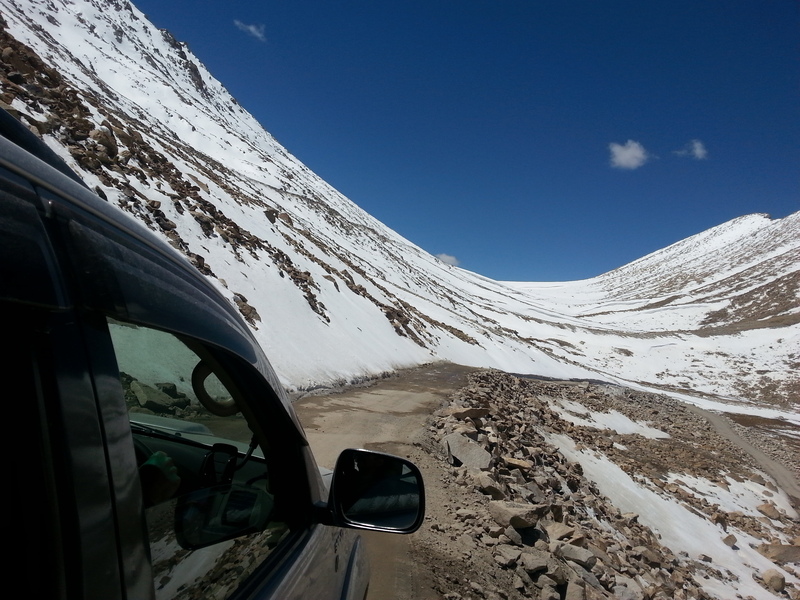 The fun part about a Trip to LEH is in the journey! Nothing beats the Adventure of being on the road & experiencing different terrain. Excitement is in the Uncertainty & Happiness is in overcoming hurdles & slowly moving closer to your Final Destination. Things to keep in mind when in Leh! Keep yourself hydrated & make sure you are always drinking water at higher altitudes. Restrict your movements, walk slowly & do everything at a slower pace than normal! 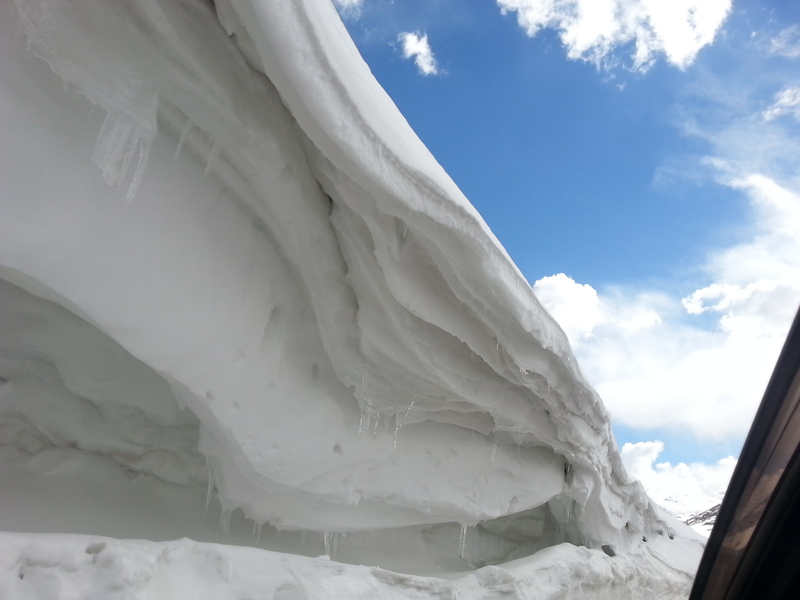 Chances of getting AMS (Altitude & Mountain Sickness) are very high orelse. Layer yourself up so you can shed some layers noon time & again throw on some layers post 6pm. 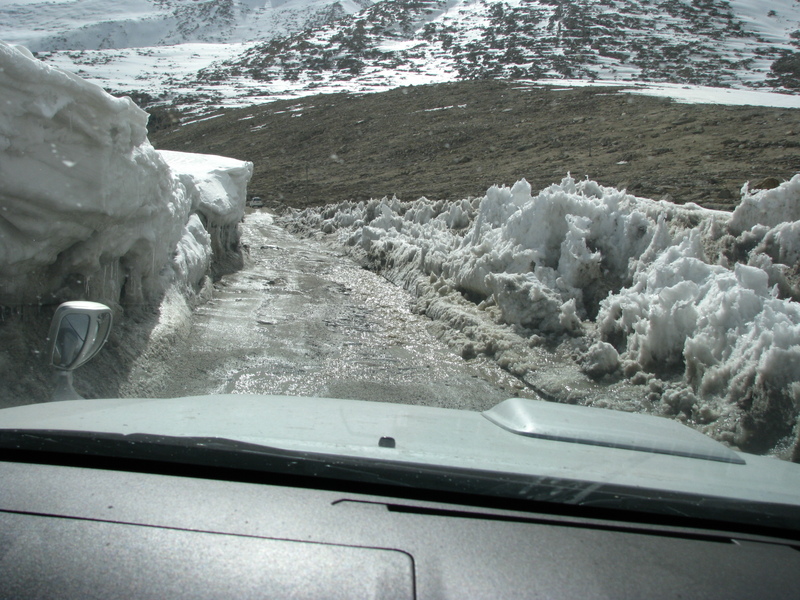 In Leh vehicles from different states are allowed. 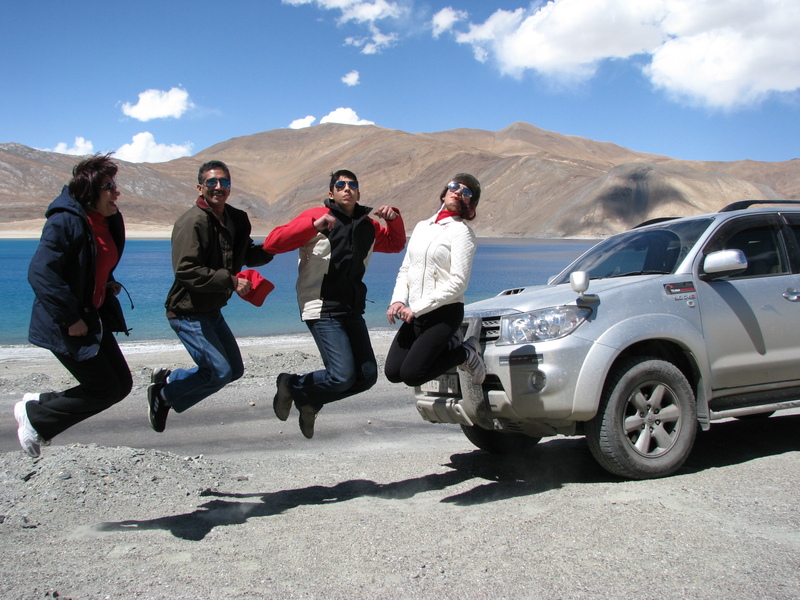 But if travelling to Nubra or Pangong Tso from Leh you will have to hire a J&K registered cab or tourist vehicle. Fuel up in Leh before heading out to Nubra or Pangong Tso because you will not find any petrol pumps enroute. 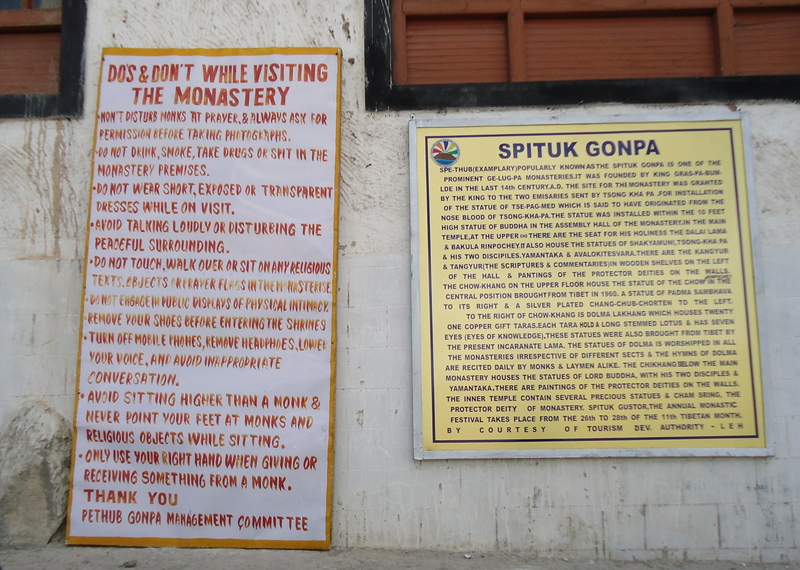 Be careful of the rules & regulations while visiting Monasteries. 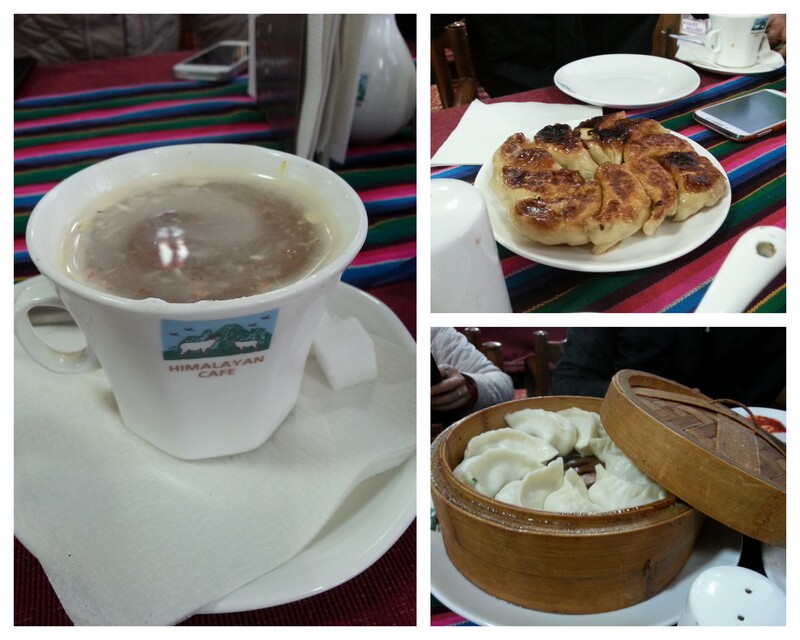 What food to try at Leh? Have to-have to eat the momos there! We even tried the ‘Kattay’ which are momos fried on one side & steamed on the other. We visited the Himalayan Restaurant/ Cafe in the Leh Market & were happy with it being warm & spacious and ofcourse the food was decently good with quite a big menu to choose from. 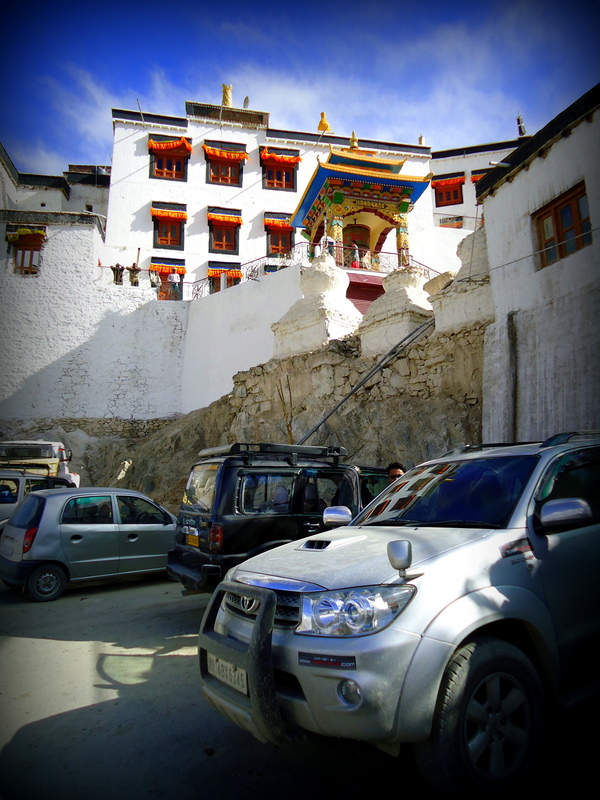 You have got to buy yourself the Ladakh Prayer Flags as a souvenier for your Vehicles. 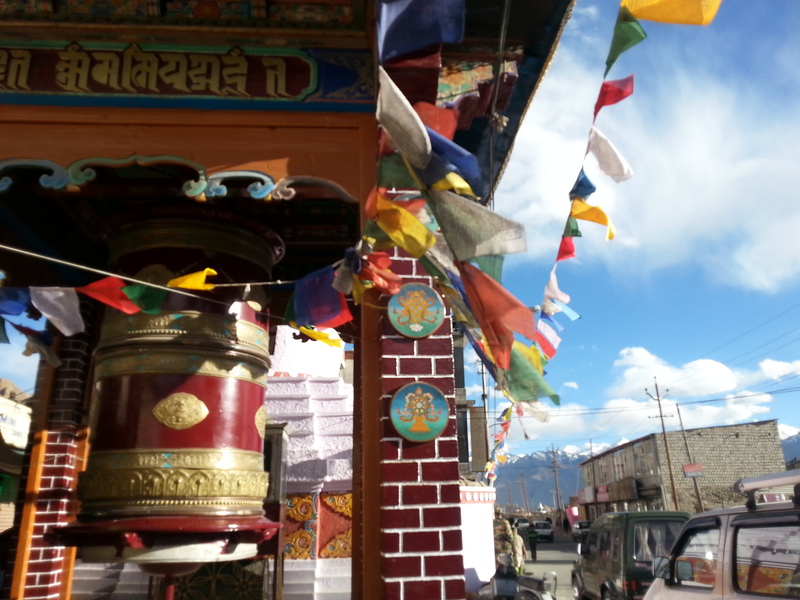 Lots of other souveniers are available like the chanting wheels & Leh is also known for Turquoise stone. Places to Visit in and around Leh! 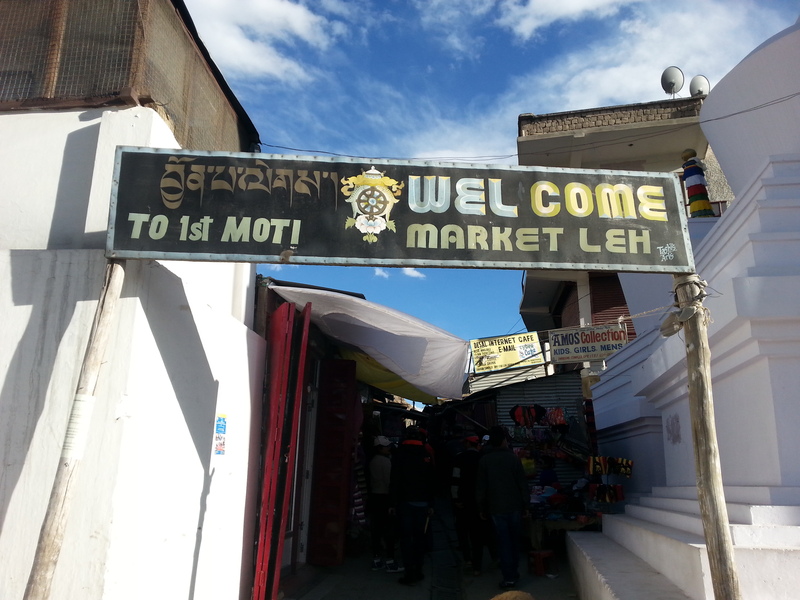 The Moti Market is where you can buy yourself some souveniers & especially all the Ladakh-y & Tibetan goodies & don’t forget Turquoise too :)At the Leh Market you will also find restaurants & small stores to buy the basics and other groceries. 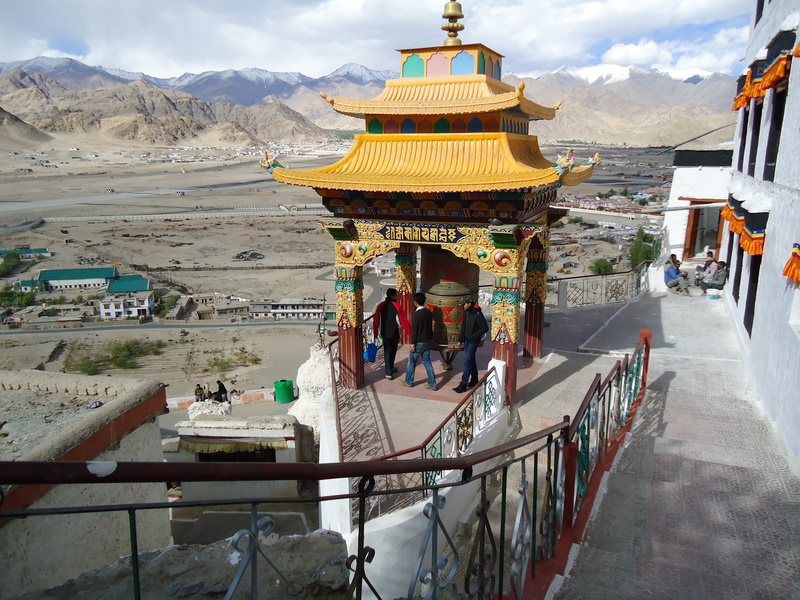 In Leh there are renowned Buddhist Monasteries- Disket Monastery, Thiksey Monastery, Spituk Monastery & Sanskar Monastery. As far as a Buddhist Monastery is concerned this was my first experience & it isn’t like a Hindu temple & left me quite intrigued. Nubra Valley is in the north-east part of the Ladakh Valley. 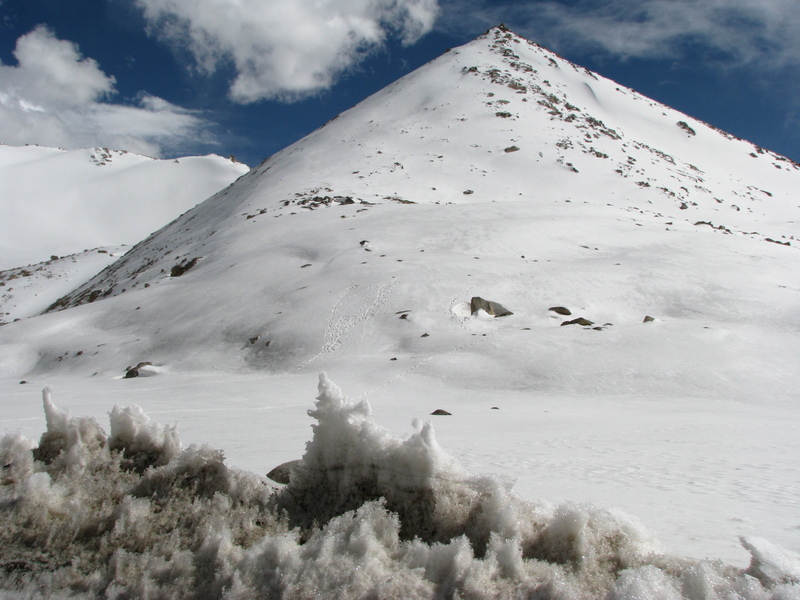 To go tot Nubra you have to cross the Khardungla Pass. The Diskit Monastery too is here in this Region. Nubra also happens to be the capital of Ladakh. Nubra is considered as a high altitude cold desert. 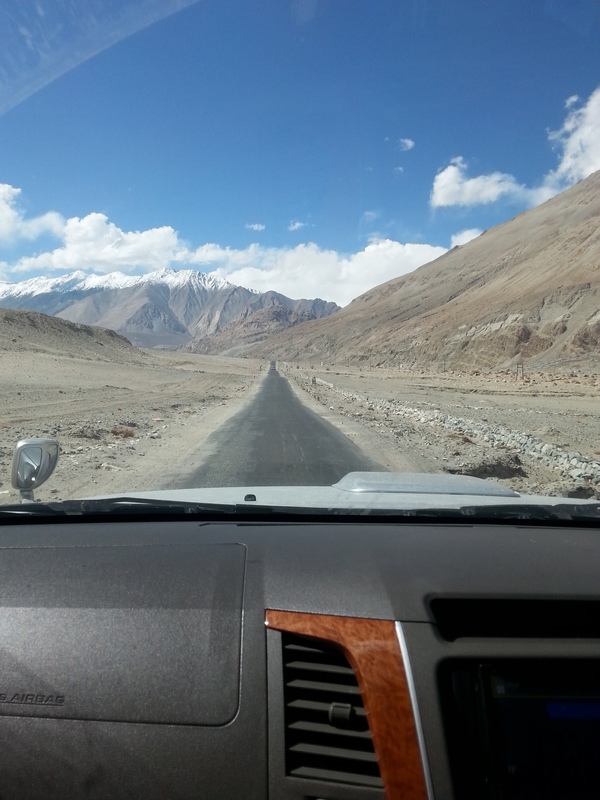 The drive to Nubra Valley is especially for those who havent done the whole road journey uptil Leh! Since we had already done the road trip to Leh we thought of skipping Nubra since we already had done a lot of driving & experienced all different kinds of terrain. 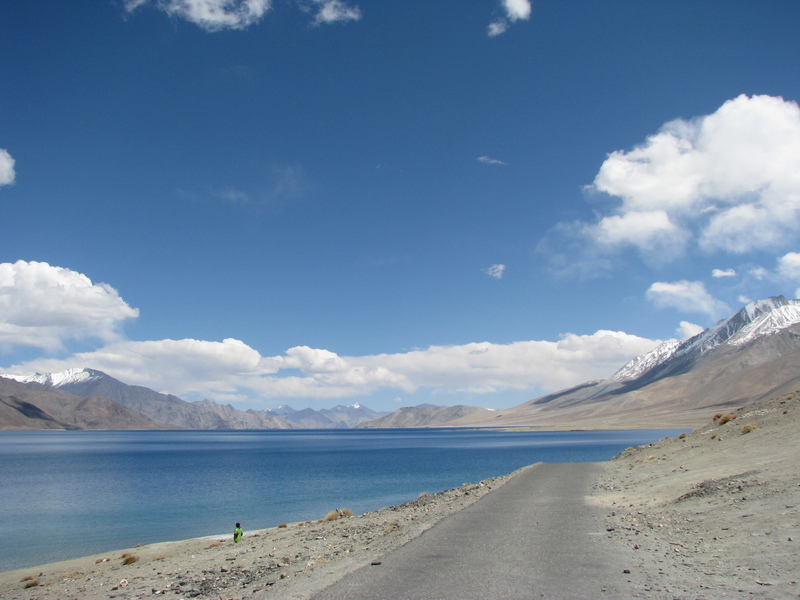 Pangong Tso Lake is about 5 to 6 hours drive away from Leh. The journey to Pangong Tso Lake is quite an exhilarating one, having to cross the Chang La Pass (17,800 ft Third Highest Motorable Road in the world). Since we were already acclimatised at Leh, these heights were now not going to be so taxing on our bodies. 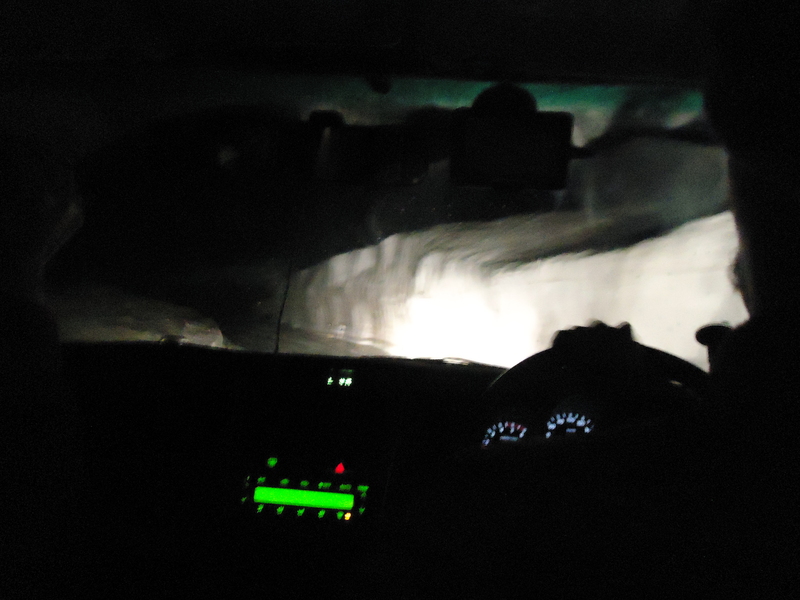 At Chang La it was about 2°C & the min we opened our car doors there was a slap on cold air. My nose immediately froze up. As it is you arent allowed to be out of the car & exert urself too much, a break of 10mins is enough at Chang La. We had to have our pictures with the Chang La board & we were done! After Chang La the straight run towards Pangong Tso was pretty good. The snow starts vanishing, there are winding roads & then some infinite roads too (always excite me). The terrain changes again and the soil gets more fine (small dust storms were there enroute). The soil now starts to look like sand. 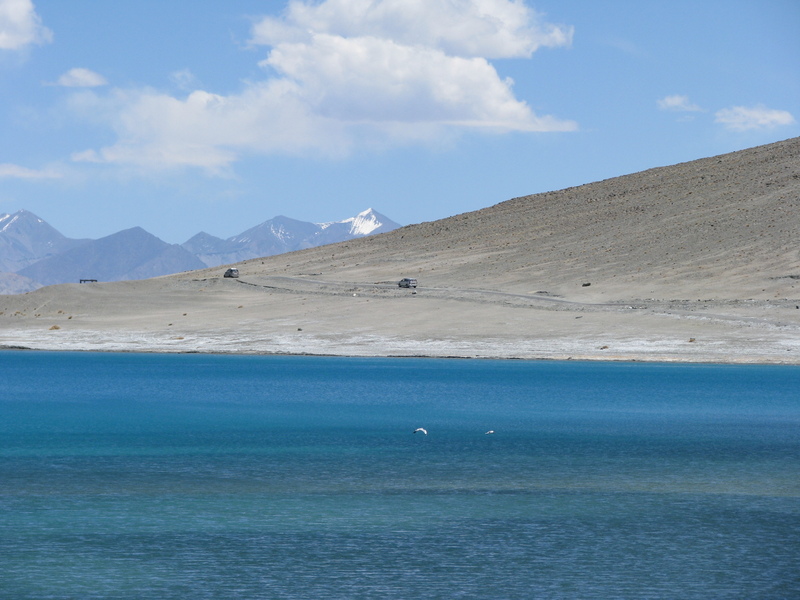 5-10 kms before reaching Pangong Tso you finally get a glimpse of the Lake. On actually approaching the Lake the best feeling (apart from seeing water) is seeing the Indian flag swaying with pride. Pangong Tso Lake is 1/3rd in India & the rest in China. Around the lake which was made highly famous especially after the movie ‘3 Idiots’ were restaurants all named after characters of the movie or from the movie title itself. 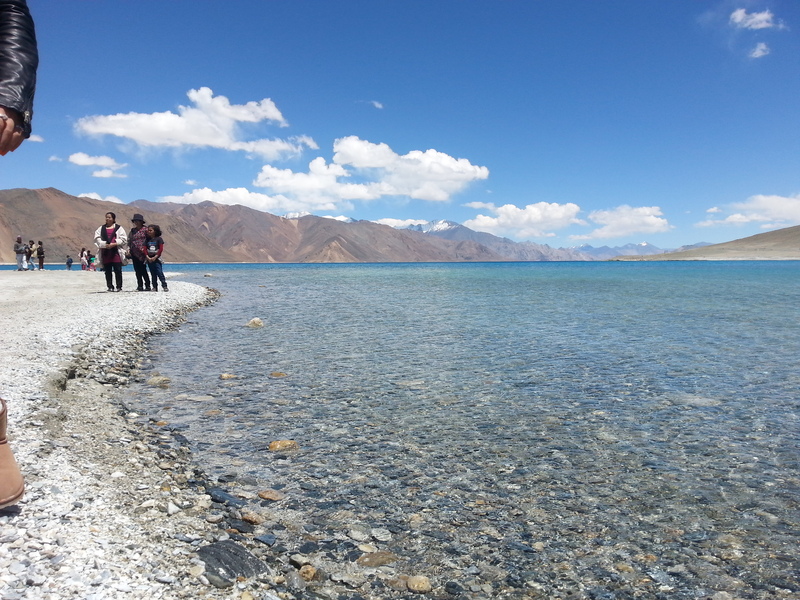 The water at Pangong Tso Lake is crystal clear & the pure skies give it that pristine blue colour. Not just one colour but shades of Blue are seen & its amazing to even see the clouds cast a shadow on the mountains & the lake. Everything suddenly seems darker! Me being the water baby I am and also seeing Anushka Sharma dive into the Pangong Tso Lake in ‘Jab Tak Hain Jaan’. I was very tempted to swim but calmed myself down & decided to atleast go soak in my feet. Highlights of our Return Journey! 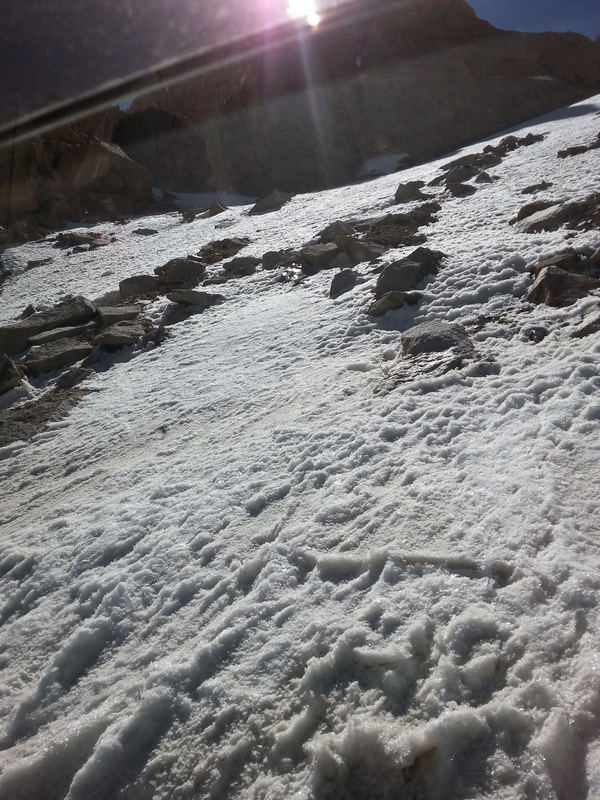 Unfortunately for us the Khardung La Pass hadn’t yet opened due to the climatic conditions then. Hence, we couldn’t come down via Manali. Nonetheless we still had a different experience on our way back. Dueto unfortunate delays we reached the Kargil War Memorial past 8pm. Yet in that bitting cold we had an Army official graciously guide us & show us around the War Memorial! Kargil War was fought between May 26th ’99 to July 14th ’99 & Vijay Diwas is celebrated on the 26th of July. We were standing at a time period similar to when the war was fought in ’99. 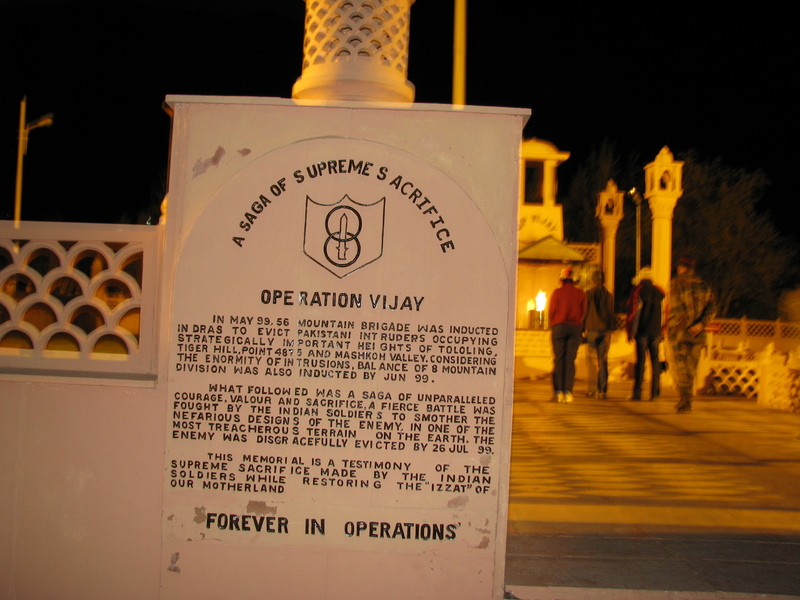 The War Memorial is actually located in the foothills of the Tololing Hill (which was one of the warfare zones of the Kargil War). We were standing at a point where we could see the Tiger Hill (Pt 5140), Tololing & Point 4590 (overlooking the Leh-Srinagar National Highway 1D) which were all major of points of Pakistani invasion of Indian Territory. Standing there not only could we see the names of the numerous Indian soldiers who led down their lives to keep our borders secure, But you also get a feel of How Tough a job it would’ve been for our soldiers to go battle in that bitting cold & darkness with the Pakistani soldiers being at a stronger point sitting on our peaks. Hence the Kargil War is one of the World’s toughest battle fought in the most treacherous terrain & weather conditions. As an Indian being there & listening to the Army Major tell you about Operation Vijay & the Martyrs it was almost impossible to hold your tears back. The Hut of Rememberance at the Memorial showcases alot of the ammunition used by the Pakistani’s, pictures during the war, models of the Peaks that were the battle ground, insights of the War & also a Kalash of the Martyr. Drass also happens to be the Coldest Military Transit Camp in the World that goes down to -60°C. 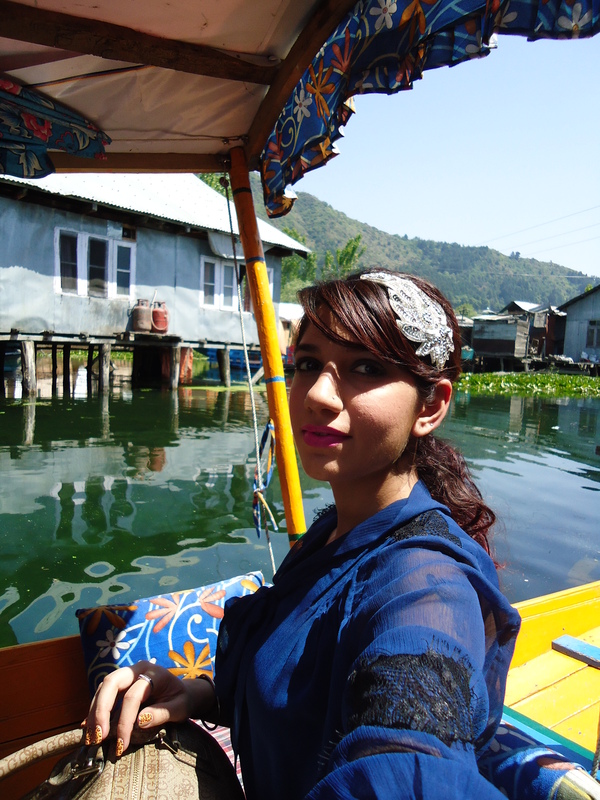 Dal Lake (also knows as the ‘Jewel in the crown of Kashmir’) was our home for a day & since it was my first experience of literally living on still water it was quite fun! Having to commute to our House Boat via tiny boats (Shikaras) was quite a thrill in itself. A beautiful drive alongside the Dal Lake (with a surface area of about 18kms) with the Chinar & Walnut trees on the sides of the road felt really blissful after all the hustle and bustle around the commercial part of the Dal Lake. 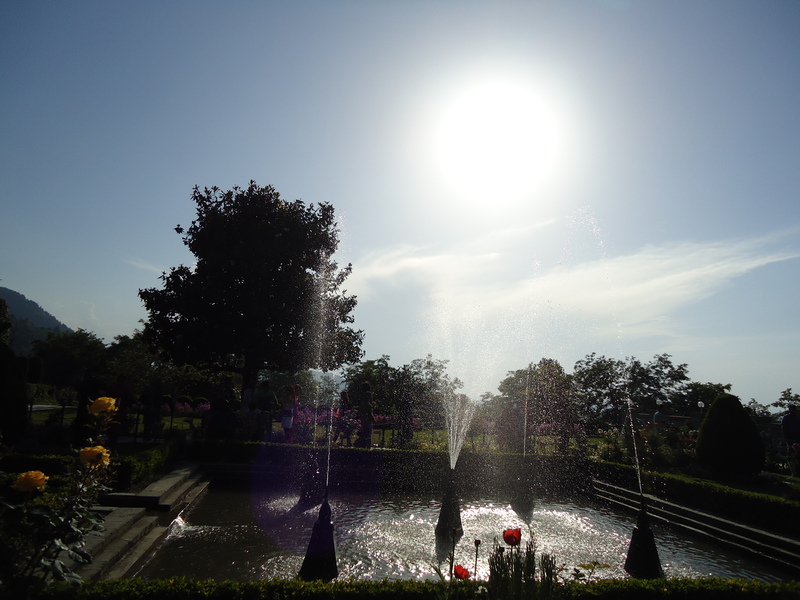 We also visited the Famous Kashmiri Gardens- Shalimar Garden & Chashm-E-Shahi Garden. But you can totally skip them unless you like crowded places where kids are running here & there going crazy playing in the fountains. We then decided to skin the also famous- Nishat Bagh. During the winters most part of the Dal Lake gets frozen. Kids then come out and play cricket & football on the frozen Dal Lake. 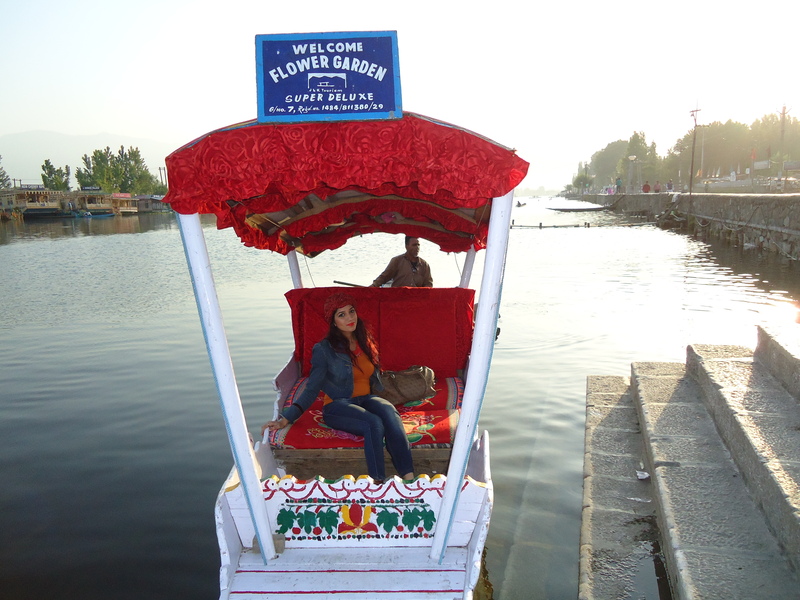 On the Dal lake there is something called Moving Land. Moving land is basically like weed on the lake that grows resembling a bush though. Since these looked like patches of land yet were moving they were called Moving Lands. 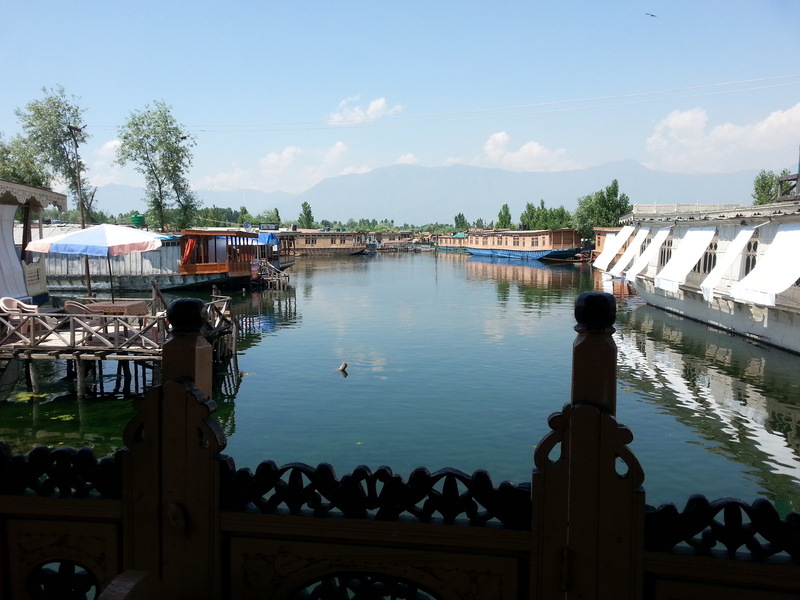 A part of the Dal Lake is called Sona(Gold) Lake. 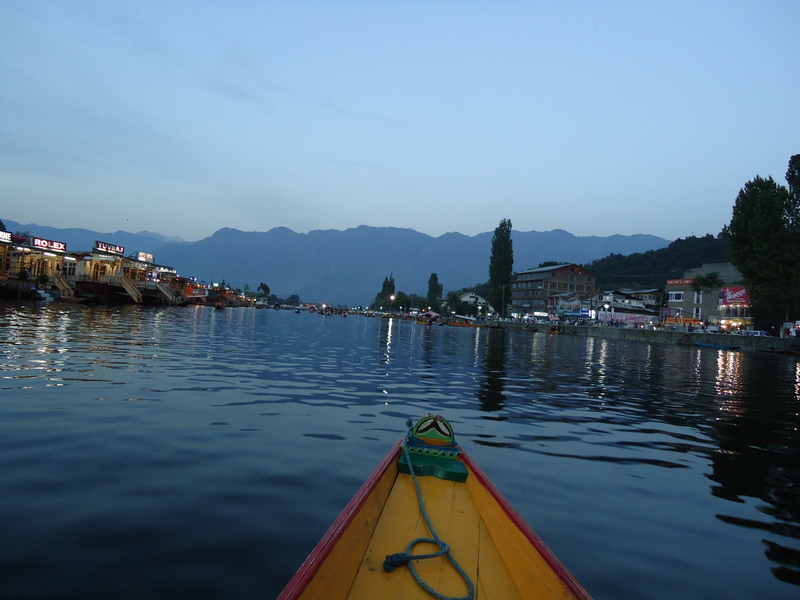 It’s called so because of the golden hues that fall on that particular part of the Dal Lake’s water during the day or in the evening. 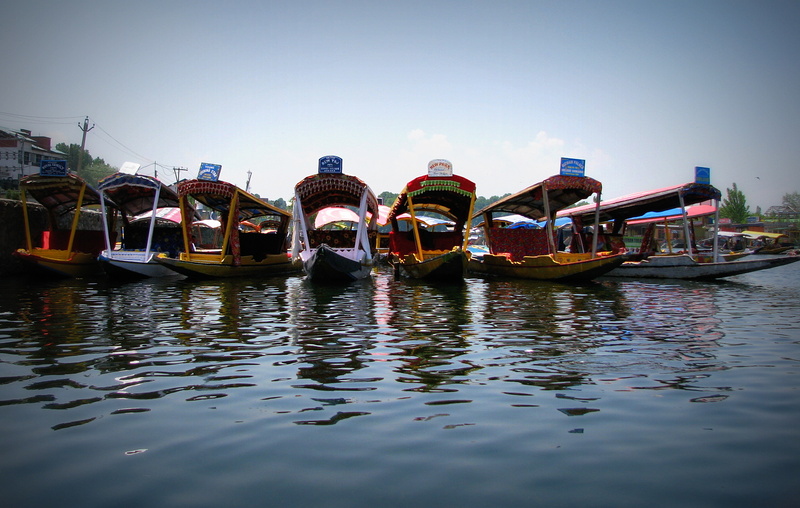 During the winters the locals(men) who would lived on the Dal Lake (or made a living on the Dal Lake) would migrate & the ladies would sit and make handicrafts (which later on in the summer season they would sell). There were also floating shops or maybe they were on small pieces of land where you could buy jewellery, handicrafts & even clothes. They was even a small confectionery shop & that was when we were reminded of a similar ride through the Bangkok floating market! Next morning we set out out for Jalandhar (where I have my relatives & my ancestral house). 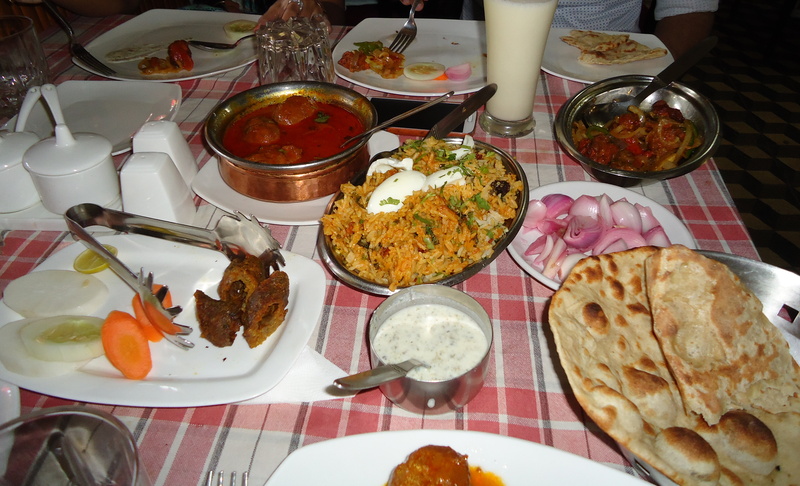 Jalandhar was a tall shot from Srinagar but we made it in time for dinner. 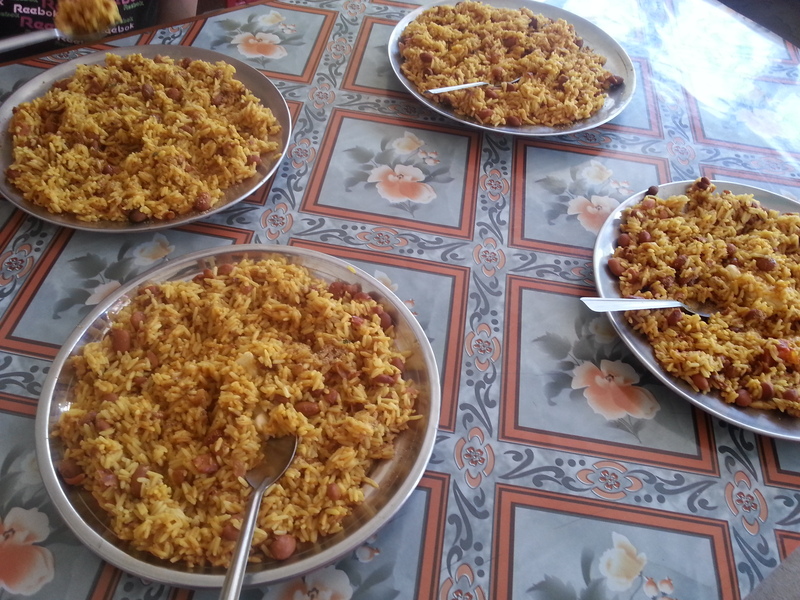 Enroute Jammu stop at Rambann & grab some of their famous Rajma Chawal (kidney beans & rice). Jalandhar to Delhi was the last leg of the journey. Travelling to LEH?? you gotta check this out!